Field courses are an essential component of the undergraduate experience in many subjects, but are intensive and expensive for participating students. Unpreparedness often means time is used teaching the basics rather than challenging students in exciting and novel situations. Moreover, universal participation is not always possible. Video-based resources covering key concepts and techniques could help participant preparedness and could be used independently by non-participants. This reflective case study details a collaborative project in which students and instructors worked together to make conceptual and instructional videos during a highly applied biosciences field course in South Africa. In 2012, after training from a professional wildlife filmmaker, students were involved in planning, presenting, and filming 25 videos. Students benefited considerably from the filmmaking process as explaining concepts and filming techniques helped reinforce their understanding: an example of "see one, do one, teach one." The online, open-access videos were used by the 2013 cohort to increase preparedness and independently by non-participants to good effect, both internally and at several external institutions. New videos will be added each year to expand the resource base and allow students to gain from the filmmaking experience. This teaching and learning strategy is multidisciplinary, with relevance for a range of subjects. Keywords: biology education, ecology education, fieldwork, filmmaking, video, learner-generated content, "see one, do one, teach one"
Field courses are an essential component of the undergraduate experience in many subjects, including biosciences, geography, earth science, environmental studies, and zoology. The experience of being in the field allows students to link together theory and practice to a far greater extent than is possible in the classroom. Because of this and the value of field courses in allowing students to develop and refine key practical skills, the academic importance of field courses within higher education has been widely recognized (e.g., Dillon et al., 2006; Gamarra, Ironside, de Vere, Allainguillaume, & Wilkinson, 2010; Rahman & Spafford, 2009; Smith, 2004). Moreover, field courses are important in terms of student experience (Orion & Hofstein, 1991) and in fostering a professional, collaborative, relationship between students and instructors (Hart, Stafford, & Goodenough, 2011). A field course is an intensive and expensive undertaking for participating students, and it is essential to guarantee that resources and student time are used effectively. Underprepared students do not get the most from field courses, especially ones held in unfamiliar locations (see Hill & Woodland, 2002). Instructor time is often used teaching basic fieldwork techniques, rather than stretching students to the limits of their academic abilities in exciting and novel situations (Smith, 2004). Moreover, the costs of fieldwork and other issues (e.g., disability, medical conditions, family and work commitments) make universal participation in fieldwork difficult (Hall, Healey, & Harrison, 2002; Healey, Roberts, Jenkins, & Leach, 2002). Given these issues and the importance of fieldwork in many bioscience disciplines it is imperative to ensure that all students, both participants and non-participants, can get maximum benefit from field course provision at their institution. To solve the problems posed by unfamiliar locations and issues of participation is not straightforward. In practice, it will never be possible to ensure all participating students are fully prepared, nor achieve 100% participation. However, developing a suite of resources that can be used by participating students before a field course would go a long way to resolve preparedness issues. Such resources, if suitably assembled, could also provide non-participants with appropriate material to allow them to develop the active, inquiry-based approaches that field courses engender, thereby ensuring that such students are not disadvantaged. Video-based resources can be used successfully to support students' learning experience. There are two basic models: (1) use of concept-based videos that students watch passively with the aim of learning about a particular theory, idea, case study, approach, or paradigm; and (2) instructional videos that students use actively (possibly interactively) to learn a particular technique or skill. The first approach is used throughout higher education both in classroom environments and in distance learning scenarios (Barford & Weston, 1997). The second approach is used much less frequently, but examples include the teaching mathematical skills (Phillips, Pead, & Gillespie, 1995) and teaching life skills to students with learning disabilities (Kimball, Kinney, Taylor, & Stromer, 2004; Norman, Collins, & Schuster, 2001). The aim of the project discussed here was to develop a series of videos for students to use before an intensive residential bioscience field trip to assist with attendee preparedness. Two types of videos were envisaged: conceptual (i.e., discussing theories and concepts) and instructional (i.e., explaining key field techniques). The conceptual videos were seen as resources through which students could get an understanding of the biological, ecological, and environmental contexts of the field course. The rationale for this was to ensure that precious time "on the ground" could be spent in developing an advanced and deep understanding by building on the basic knowledge the students already possessed, rather than starting with first principles and consequently having insufficient time to stretch students' learning. The instructional resources, meanwhile, were designed to enable students to become familiar with key fieldwork techniques so these could be taught more quickly, and to a higher level of competency, in the field than would otherwise be possible. Furthermore, it was planned that the resources would also be designed to be useful for non-participants, with the concept videos being used as case studies to support non-field-based courses, and the instructional videos used externally to the field course by students undertaking independent fieldwork or field-based dissertations to enable skills development, at least to a basic level (see the Discussion section later in this paper). Rather than instructors making the video resources themselves, the authors wanted to involve students in this innovative use of technology to support learning, with the idea that the videos were made "by students for students" – a prime example of the "see one, do one, teach one" philosophy (Vozenilek, Huff, Reznek, & Gordon, 2004). This project involved 28 students and two lecturers working together to record videos to support fieldwork activities as part of an active, multi-institution, field course in April 2012. A U.K. institution, the University of Gloucestershire, offered the course, with the fieldwork activities being conducted at Mankwe Wildlife Reserve, Northwest Province, South Africa. In order for the filmmaking students to get the most out of the filming experience, and to elevate the quality of the films themselves, a pre-field trip session was arranged with a wildlife filmmaker. This was led by an experienced cameraman previously based with the British Broadcasting Corporation (BBC) at their world-famous Natural History Unit in Bristol. Over 3 hours, the students received a detailed insight into the process of wildlife filmmaking through a talk from an experienced cameraman, which was linked to practice through viewing film sequences. These sequences, shot by that same cameraman, were part of various BBC series (such as Planet Earth and The Trials of Life). To contextualize the end result, students were also shown "behind the scenes" video clips and outtakes, (e.g., from the BBC series Ganges), and video diaries (e.g., from BBC series Life, the episodes of which contained a video diary section entitled "Wild Worlds") as well as the original storyboards. Students then participated in an interactive workshop in which they were asked to storyboard a short film on ant foraging using storyboard templates (see Appendix A) and then film their story using lab-based leaf-cutting ant colonies. Once on the field trip in South Africa, students and instructors (the first and third authors of this paper) were all involved in scripting, storyboarding, filming, directing, and presenting different aspects of different videos. This involved students and instructors working together as collaborators. Filming was undertaken using two video cameras (Canon Legria HF M307 using on-board sound or with Canon DM-100 external microphones). This equipment was toward the top end of the "consumer" bracket but intended for use by amateurs rather than professionals, and, therefore, reasonably intuitive for students and instructors – all non-professionals with little or no prior experience of filmmaking – to use. To avoid the filmmaking eroding the time available for fieldwork (which itself is often limited, a partial motivator for this initiative) video planning and a considerable amount of the filming was undertaken in the evenings when fieldwork was not possible. The rest of the filming was either done within teaching sessions when it was not a distraction to the learning experience or on one afternoon, during which no fieldwork had been scheduled. In this case, inclusion of a filming afternoon did not prevent additional fieldwork being undertaken, since it was always the intention to have one afternoon that was not based in the field (on field courses, especially long ones in unfamiliar or harsh environments, it is often desirable to have at least one period of camp-based activity). Even if this was not the case, the benefits arising from the filmmaking experience (see the Results and Discussion sections) might be considered sufficient to offset any costs of this activity. Basic editing (e.g., deletion of non-useable footage) was done in field by instructors (the first and third authors). Post-fieldwork videos were substantially edited and compiled by the project leader (the first author) using Windows Movie Maker, a freely available piece of software designed for amateur use. Editing involved trimming and splitting videos, stitching clips together, adding text captions, integrating still images with movie sequences where appropriate, and adjusting the audio/video synchronization and adding backing tracks where necessary. To provide maximum flexibility in using the videos, two versions of each were produced. The first was a low-resolution version with faster download times and optimized for mobile devices, including smartphones and tablet computers such as iPads, while the second was a high-resolution version with better viewing quality and optimized for computer platforms. In addition, it was decided that students using the instructional videos either before field trip attendance or, more especially, independently, would benefit greatly from the provision of additional learning materials. These could be used to introduce the methods, circumstances when the techniques might be used, and the data that might be obtained. Accordingly, files containing data, guidelines, or worked examples on how these data should be analyzed, were also provided where appropriate. All videos and resources were uploaded to a specially designed website (http://www.africanbiosciencevideos.esafari.co.uk/) constructed specifically to host these resources by the project leader (the first author). Through this non-restricted website, all resources were freely available under the open-access provision of a Creative Commons license. This avoided the access restrictions likely to result from hosting on an Institution-specific website and the concomitant limitations in the use of the resources by the wider academic and student communities. Student feedback was collected on the pre-field course wildlife filmmaking session anonymously via a password protected online survey. The survey was password protected to avoid non-participants completing the survey and generating erroneous results. This survey combined both quantitative and qualitative approaches (Likert-scale questions and closed questions with yes/no answers, together with open questions with text boxes) and was designed to be very quick to complete, having just seven compulsory questions plus an optional question and a free text box for additional comments. (The complete survey on the filmmaking workshop can be viewed online at http://www.surveymonkey.com/s/QXPMVZW using the password "africa," while the quantitative questions and answers from that survey are given in Appendix B.) Feedback on the experiences of the wildlife filmmaking students was collected via informal focus groups (four or five students and one instructor per group), and a specific anonymous, password protected, online survey. (The complete post-field course survey can be viewed online at http://www.surveymonkey.com/s/XW2PPVV using the password "africa," with the quantitative questions and answers appearing Appendix C.) These were supplemented by a student-led course evaluation, which reflected on student experiences on the trip overall. This last was an Institution-specific survey, which included qualitative sections on positive aspects of the course and areas for improvement, as well as statements on "Participating in this module [course] has stimulated my interest" and "Teaching and learning methods have enabled me to achieve," with which students could agree or disagree. Focus groups (again, four or five students with one instructor) were used to assess reception of the videos by the first cohort of students to use them as aids to field trip preparation in 2013. The pre-field trip session from a wildlife filmmaker was an essential part of the success of the project. Student feedback showed that this session was extremely well received, with 100% of participants agreeing that the session was useful for skills acquisition and 87% saying it was "invaluable" or "very useful" in preparing them to undertake filming in South Africa (none of the respondents selected the remaining options of "not very useful," or "not useful at all" – see Appendix B). 67% of students reported that it was "vital" that this session was led by a professional cameraman, while 27% said this was "very important" (none of the respondents selected "not very important," or "not important at all" – see Appendix B). "The whole session was invaluable! Being taught by such an inspiring person in the wildlife filmmaking industry not only adds to the motivation to film amazing footage in South Africa but also to consider this as a career." "A fantastic session – our films will now have some assistance from a professional and will hopefully be reflected in their quality." "It [the session] opened my eyes to the different jobs you can do for the filming that aren't actually filming or being in front of the camera, and how important planning is." The participants found different aspects of the session helpful (Figure 1). The vast majority found the talk, watching the professional video clips, and seeing the "behind the scenes" footage and outtakes either "invaluable" or "very helpful" (the mean was 93% overall), with only a minority ticking the other options of "fairly helpful," "not very helpful," or "not helpful at all" (Appendix B). One student commented that it was very useful seeing both "good" and "bad" takes of a particular sequence, since this highlighted what made both, what to aim for, and, arguably more importantly, what to avoid. 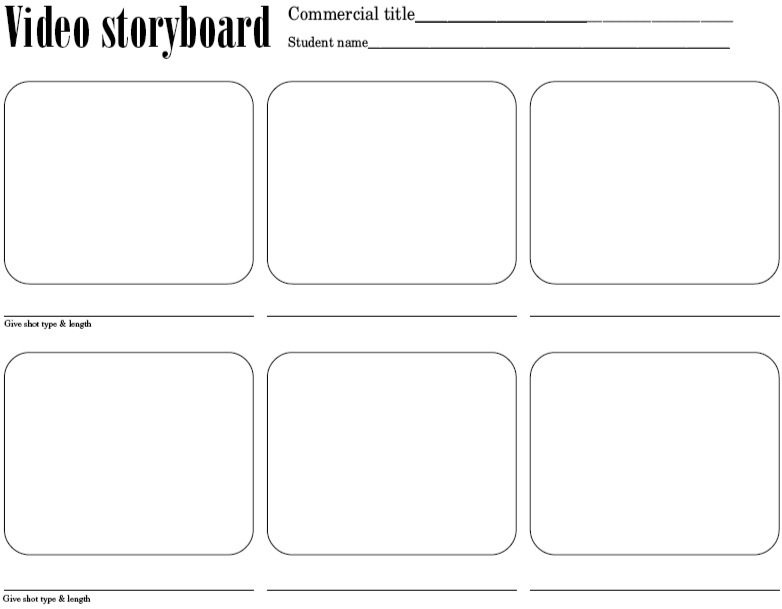 Although the more interactive parts of the session – creating a storyboard and actually doing filming – were well received, the percentage of students rating this as "invaluable" or "very helpful" dropped from 93% to 77% relative to the more structured part of the session (Figure 1). Examination of the qualitative feedback suggests that this might have been because the interactive part of the session was rather time constrained. In retrospect, the time allowed was not really sufficient to allow inexperienced participants the freedom to develop ideas, storyboard, and complete filming to a high standard. This demonstrates the need to consider timing carefully to ensure freedom for blue-sky thinking and high-level engagement with material, especially when active learning is built in. Feedback also suggested that the session could have been improved by a more detailed tutorial on how to actually use the video equipment (covering the basics of how to film, useful settings, panning and zooming techniques, and so on). The intention had always been that such techniques should be learned "on the job," since these skills cannot be taught easily in the abstract. This was not articulated to students, although when they were filming in South Africa, they did indeed learn "on the job" and no further mention was made of any formal training session being necessary. During the field trip, 15.3 hours of footage were recorded, in total. In several cases, two separate camera crews filmed the same activity so as to provide dual footage and a choice of perspectives during editing. The overall footage was edited to yield 25 discrete videos totaling 5.5 hours (ranging in length from 38 s to 32 min 29 s, with an average length of 13 min 20 s). Half of these were instructional videos, which covered using field equipment to perform simple tasks (e.g., using a compass to take a bearing, using a Global Positioning System (GPS) unit to record and locate a survey point, and using an optical range finder to measure distance), while others covered more advanced skills (e.g., field mapping and setting up remote cameras). Several industry-standard ecological surveys were also covered, including avian point counts (Bibby, Burgess, Hill, & Mustoe, 2000), monitoring large mammals using strip transects (Sutherland, 1996), and Veld grassland condition indices (Tainton, 1999). Numerous resources were produced to support the instructional videos, including, for example, briefing documents, data files, worked examples of data analysis, and camera trap images. There were also 11 conceptual videos, covering theory and the practical application of this theory, often using the techniques covered in the instructional videos. All the instructional and conceptual videos were a collaborative effort, with both students and lecturers involved in scripting, storyboarding, filming, directing, and presenting different aspects of the videos. The final two videos were entirely student led and focused on student experience, giving tips and advice for studying ecology in the field. Feedback suggested that students gained considerably from making these videos. Explaining concepts and techniques on camera, or being involved with planning how these should be presented, helped reinforce their own understanding of key field techniques; a prime example of the "see one, do one, teach one" philosophy (Vozenilek et al., 2004) whereby students gain deeper understanding by teaching something to others (Krych et al., 2005; Whitman, 1988). It is also both a good example of experiential learning (Kolb, 1984) and of the value of such a learning process. The students themselves recognized this, with all participants reporting that they felt the video-making process helped them better understand key concepts and techniques (compared to simply being told something or shown how to use a piece of field equipment) and stating that it would have been very beneficial to have had access to videos similar to the ones that they made before going on the trip (Figure 2; Appendix C). The experience also provided specific filmmaking skills, as well as additional transferable planning, communication, teamwork, and leadership skills (Figure 3). Interestingly, it was in improving planning and teamwork that students felt the videos helped most, both transferable skills that are valued highly by employers (Fallows & Steven, 2000; Saunders & Zuzel, 2010). It would be interesting, in the future, to test whether making videos led to an objective, significant, improvement in student learning in addition to their perceptions of improvement. "The Africa fieldtrip was the best two weeks of my life. Making the videos was really interesting & made me really think about the techniques I had learnt and how to communicate them"
"The trip itself was an unforgettable experience, I feel privalaged [sic] to have done it ... it has changed my life! The videos really added an extra dimension." "I learnt so much more than I could ever have imagined." "It [making the videos] helps you get a better grip as you need to know the technique well before being able to talk about it on camera. Very useful." "I was able to put some of the skills to good use for my dissertation." Overall, the field trip course evaluation results showed that 93% agreed with "Participating in this module [course] has stimulated my interest," while 96% agreed with "Teaching and learning methods have enabled me to achieve." This compares with evaluations for other biosciences courses in the same period of 60% and 83%, respectively. It was also noticeable to the instructors (the first and third authors, who are experienced at running residential field courses in both the U.K. and abroad (France, Portugal, Brazil, and Mexico), that because the video project involved both students and instructors, it engendered a collaborative atmosphere. In this way, it acted to extend other initiatives used on field trips to promote a mature lecturer–student relationship to further students' academic development (discussed in Hart et al., 2011), as well as facilitating peer-assisted learning (Topping & Ehly, 1998). The plan is for this to become a long-term project, with new videos and accompanying resources being added by successive cohorts. "The videos are really helping us learn field skills in a way you just don't get from a book – they are amazing! I love that they have been made by students for students." "I feel so much happier about going now I know what the place looks like. It sounds daft, but it has taken away some of the fear of the unknown." "It was really useful to have access to these videos. Often debates can stall mid-session and it is useful to have prompts to re-engage the students and provide opinions countering those being aired at the time. The videos enabled that to happen naturally, without me having to take the role of devil's advocate all the time." "The videos are excellent for teaching students complex fieldwork skills in a memorable way." This project has shown that it is possible to make high-quality videos, both conceptual and instructional, through student–instructor collaboration. These resources benefit both the cohort involved in making the videos and subsequent cohorts who use them, and the collaboration between students and instructors helps build positive relationships and advance students' academic development. In terms of increasing preparedness, videos made by instructors, without student involvement, could arguably have been just as useful. However, involving students in making these videos provides three advantages that videos made by instructors alone would not have: (1) the benefits that filmmaking students get from explaining a technique on camera in terms of deeper learning of that technique ("see one, do one, teach one"); (2) the transferable skills filmmaking students acquire/improve through the filmmaking process (planning, teamwork, etc. ); and (3) the appeal of the videos to the next cohort by virtue of them being "by students, for students." Although in this case the project involves biosciences students on residential fieldwork, the use of filmmaking as a teaching and learning strategy is far from being a discipline-specific initiative, instead having applications in many subject areas. In terms of instructional videos, similar projects could be run, for example, in other sciences (e.g., chemistry laboratory experiments), medicine (e.g., medical, dentistry, veterinary, and pharmacology procedures), geography and environmental sciences (e.g., fluvial or geomorphology fieldwork), criminology (e.g., forensic techniques), psychology (e.g., neuroscience methods such as electroencephalography), art (paint or illustration methods), photography (e.g., high-speed or macro techniques), and many more. As regards the conceptual videos, these would have applicability across the entire suite of science, arts, humanities, education, and business subjects. To ensure maximum success, it is recommended that future projects have a explicit objectives in terms of the topics to film and the type of videos that should be produced in order to provide students with clear guidance and direction in terms of what is expected of them. Allowing sufficient time for filmmaking is important; however, this does need to be time limited to ensure tasks are completed. Investment in preparing participating students (and instructors) for the task of making the videos was highly valuable and is recommended for those undertaking similar projects. Further, more specific recommendations are given in Figure 4. If possible, future projects should also assess the academic effectiveness of the filmmaking process, and the usefulness of the videos themselves for increasing student learning in subsequent cohorts, objectively. This might involve, for example, testing knowledge and understanding both before and after filmmaking or film-watching activities. This was beyond the remit of the current study, but this form of objective assessment would be extremely useful in advancing understanding of the effectiveness of this teaching and learning strategy and suggesting areas for improvement. Bibby, C. J., Burgess, N. D., Hill, D. A., & Mustoe, S. H. (2000). Bird census techniques (2nd ed.). London, UK: Academic Press. Dillon, J., Rickinson, M., Teamey, K., Morris, M., Choi, M. Y., Sanders, D., & Benefield, P. (2006). The value of outdoor learning: Evidence from research in the UK and elsewhere. School Science Review, 87(320), 107-111. Fallows, S., & Steven, C. (2000). Integrating key skills in higher education: Employability, transferable skills and learning for life. London, UK: Kogan Page. Hargreaves, S., & Baty, P. (2012). Understanding your preferred learning style. In S. Hargreaves (Ed. ), Study skills for students with dyslexia (2nd ed., pp. 14-26). London, UK: Sage. Norman, J. M., Collins, B. C., & Schuster, J. W. (2001). Using an instructional package including video technology to teach self-help skills to elementary students with mental disabilities. Journal of Special Education Technology, 16(3), 5-18. Sutherland, W. J. (1996). Mammals. In W. J. Sutherland (Ed. ), Ecological census techniques: A handbook (pp. 260-278). Cambridge, UK: Cambridge University Press. Topping, K., & Ehly, S. (Eds.). (1998). Peer-assisted learning. Mahwah, NJ: Erlbaum. Whitman, N. (1988). Peer teaching: To teach is to learn twice. College Station, TX: Association for the Study of Higher Education. The full survey may be viewed at http://www.surveymonkey.com/s/QXPMVZW (password: africa). Please rate the experience you had at the wildlife filmmaking workshop in terms of interest and enjoyment. How useful was the workshop in preparing you to undertake filming in South Africa? What aspects of the workshop did you think were helpful? aDue to rounding, some of the percentages do not sum to exactly 100.0%. How important was it that the session was led by a professional wildlife filmmaker? Overall, do you think the session will help you make interesting and high-quality videos while in South Africa? The full survey may be viewed at http://www.surveymonkey.com/s/XW2PPVV (password: africa). How enjoyable did you find making the videos? To what extent did the process of making the videos help you better understand the concepts that you were learning? For example, if you made a video about GPS units, how useful was that process in helping you to understand uses of GPS units compared to "just" being shown how to use the kit by a lecturer? What additional/improved skills do you think making the videos gave you? How useful do you think it would have been to have had access to videos like the ones you made before you went on the South Africa field course? Work was funded by the U.K. Higher Education Academy's Centre for Biosciences and the Dame Janet Trotter Charitable Trust. The authors would like to thank staff and volunteers at Mankwe Wildlife Reserve, South Africa; field course co-tutors Lucy Clarke and Mary Farrell (Hartpury College); Tom Clarke for running the filmmaking preparation session; and Rick Stafford (University of Bournemouth) for help setting up the web domain. Thanks are also due to three anonymous peer reviewers for their detailed and constructive comments on an earlier version of this paper.